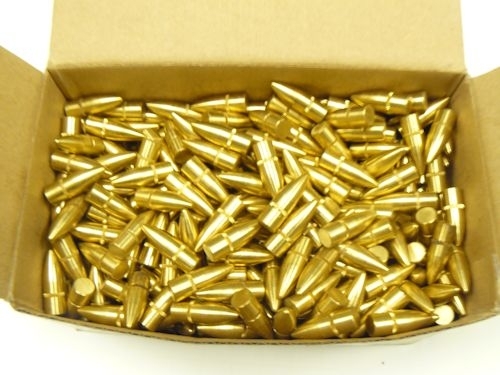 These are top quality brass bullets, Swiss-style CNC lathe turned to precise dimensional tolerances. Choose these for their superior accuracy and stability. Many forged bullets do not have an exactly centered axis of rotation, causing the bullet to leave the barrel in a slightly unbalanced fashion. 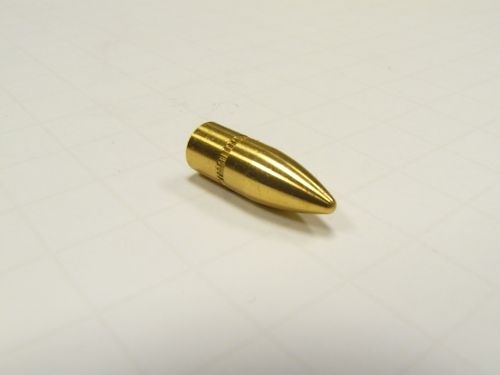 A perfectly centered bullet will give you the best chance for perfect spiral along it's flight path. We offer the 100 pack at a very competitive price and a 500 pack for even better savings. 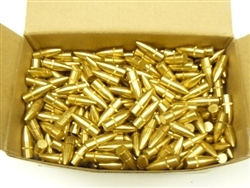 We are the manufacturer of this product and plan to offer as many different calibers/styles as are desired to meet demand. If you need a style that we do not currently offer, please drop an email to info@cncwarrior.com and we will likely make it happen soon.